Achieving the highest levels of client satisfaction with long lasting cleaning results. Working with our clients to ensure we meet their individual needs. Offering fast, effective & affordable cleaning solution. 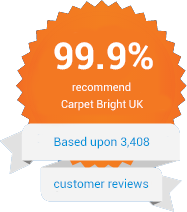 98% of our customers would recommend Carpet Bright UK. "I want to make sure my carpets and upholstery are clean for my sons, so I use Carpet Bright UK." No matter what carpet or upholstery dilemma you are having, our carpet cleaners in Bromley, Croydon, Kent & Surrey have your needs covered. Our guaranteed, professional service will help you solve your dirty carpet problems in no time. When you think of Carpet Cleaning in Bromley, give us a call as we have over 10,000 happy customers! 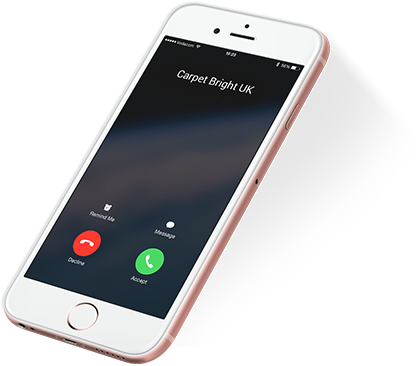 Carpet Bright UK takes pride in having a solid reputation for providing high-standard cleaning solutions. Serving the needs of clients in Bromley, Croydon, Kent & Surrey, and further afield, our company specialises in carpet, curtain, soft furnishing, rug, tapestry, and upholstery cleaning.